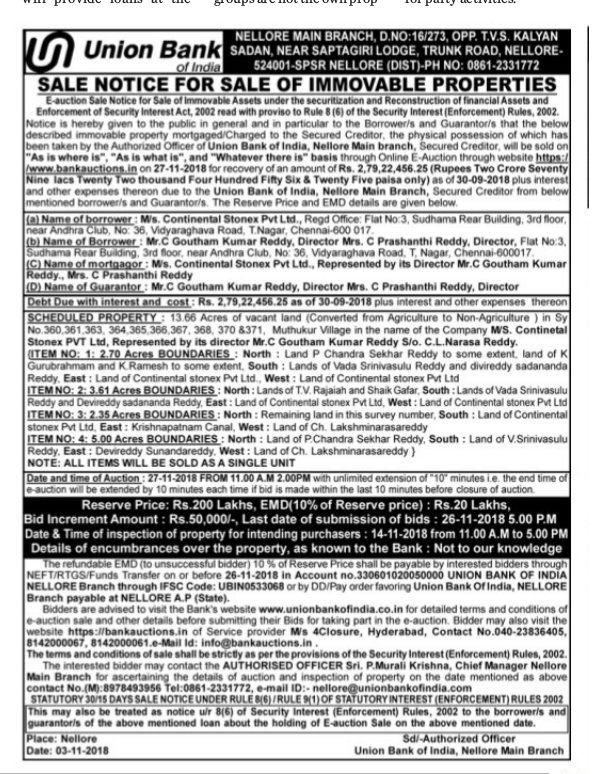 Contact Details : Contact Authorised officer, Union Bank of India, Nellore Main Branch, Sri. P.Murali Krishna, Chief Manager, (M):8978493956, Tel : 0861-2331772. Inspection Details : For Inspection Details Please Contact Sri. P.Murali Krishna, Chief Manager, (M):8978493956, Tel : 0861-2331772, Date & Time Of Inspection Of The Property On 14.11.2018 From 11:00 AM To 05:00 PM.